There are several applications for how to use Diatomaceous Earth food grade from storing food grain to insecticides. I would like to go over the several ways to use this substance as it has many good properties and applications. What is DE and how to apply it in the worm bin. DE and Bees Harmful or not? You may be asking yourself, what DE has to do with worm farming. Well that's a good question and the answer is not a whole lot yet, since its implementations are fairly new in the worm farming community. Worm farmers, like myself, have come to appreciate Diatomaceous Earth food grade and its beneficial qualities in the worm bin and in worm castings for a natural pesticide and growth medium. Other than silica DE also possesses 14 other trace minerals. WFR is not only about worm farming, but also about natural ways to garden and live healthier. 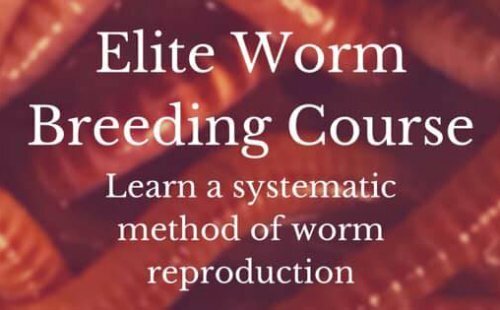 This site focuses on worm farming because the key to successful gardening starts first with the soil and worms are the master builders of the best foundation a plant can have. Along with worms creating the best soil, DE can also be good for the soil as it has many good trace minerals. Read the Free Worm Farming Guide to learn more about raising worms for plants, fishing, and waste management. Diatomaceous Earth food grade is an all natural non-chemical approach to killing insects that have reached undesired amounts in your garden. DE is made up of tiny crystalline silica. The crystalline silica has tiny microscopic edges that scratch away at the waxy exoskeleton of hard bodied insects. This causes them, in time, to loose all the moisture contained in their body. They simply dehydrate and die. But beware! This kills ALL hard bodied insects even the good ones, which is why I only recommend using it when absolutely necessary. If you are going to use DE, there are different ways to apply it in a manner that will not disrupt the colonization of the bees. If you haven't read my page yet, then click below. Many sites recommend using it liberally with a type of dust atomizer all over the plant. I recommend using it in a liquid form for pin point accuracy so you can avoid spraying it directly on the flowers or close to the flowers. Diatomaceous Earth food grade looses it's effectiveness when wet. Give it time to dry and you're back in business. reapply after every rain shower. Another way to use it is sprinkling it on top of the soil around the drip line of the plant. When the insects crawl across the soil they will pick it up or avoid it all together, thus not taking it to the flowers (in some cases). aphids, white flies, beetles, loopers, mites, snails, slugs, leaf hoppers, and all other insects by physical action, not chemically. I've had great success at using Worm Tea for plants as a natural pest defense. Bugs find healthy plants distasteful. When added to the stored food grain it not only kills the bugs that are already present, but kills those that might get in. Many grain elevators will add it to there grain conveyors to help grain flow plus it is super absorbent sucking up all moisture around, therefore preventing mold and staleness. After washing your sheets, comforter, and pillow cases thoroughly with bleach, move the bed away from the wall. The bugs cannot fly. This will prevent them from crawling onto the bed. Surround each of the legs with the DE. This will kill them when they attempt to crawl onto the bed. Do a light dusting in all the creases of the mattress and bedding. Continue this process until no more bed bugs are to be found. This has many applications for your pets. It Kills fleas, ticks, mites, and worms. It's also healthy for their coat and claws and promotes healthy joints. Give your pets a dust bath with the Diatomaceous Earth food grade silica rubbing it in really good with your hands. Wear gloves and a mask if you have dry hands and sensitive lungs. Diatomaceous Earth food grade has many beneficial qualities when it comes to animals. As well as feeding it to the goats, I also use it in the nesting boxes, on the chickens, and in their food. 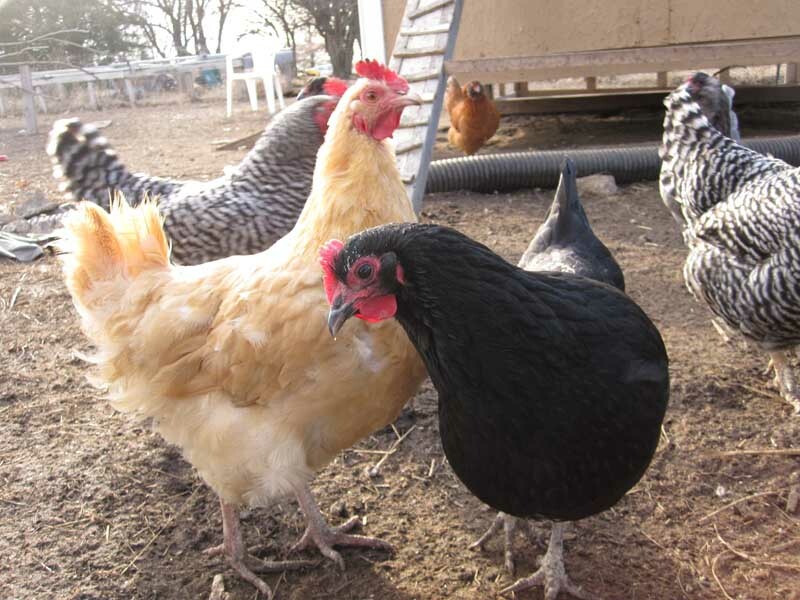 These are my chickens as of 2011. They just finished their molt and their feathers feel like very soft and thick pillows. Midnight is the black one (of course). She had a bare back when we got her but now the change is remarkable. Their eggs are strong and healthy too. Sprinkle or dust at full strength EVERYWHERE, especially the nesting boxes where the hens will spend a lot of their time. Add 5% to their feed and hang them upside down by their feet and give their feathers a good dusting. Make sure you pat it in really good so it reaches all the way to their skin. This will control mites or prevent them from occurring. It is also good to spread it all around in coops, barns, dog houses, litter boxes, animal crates, livestock trailers, stalls, lean to structures, and out buildings. 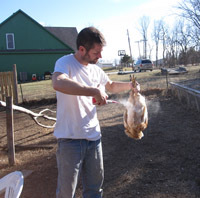 If you don't have time to dust the chickens by hand (though I highly recommend it) then place the DE on the places where they like to take their dust baths. Diatomaceous Earth food grade has many beneficial trace minerals like sodium, iron, titanium, boron, manganese, copper and zirconium. All of which can benefit your soil. If you use this already as an insecticide by sprinkling it around the drip line of your plants, then you may not need to put it into your soil. However, if you would like to use it to enrich your soil then sprinkle it around the drip lining area and work it into the soil being careful not to disrupt the root system. Containing up to 14 minerals, DE also activates, fortifies and helps to revitalize the soil, resulting in much healthier plants and a healthier YOU. Kill roaches, silverfish, ants, fire ants, bedbugs, lice, mites, spiders, earwigs, flies, fleas, box elder bugs, crabs (std), Pubic and hair Lice, scorpions, crickets, and many other insects. Sprinkle a 2" wide border around your house to keep them from getting in. Sprinkle in the carpet and rub it in with a broom. Leave it for a couple of days then vacuum. Sprinkle it around the home in cracks and crevasses in basements and attics. I've had friends that sprinkled too much into their carpet and it literally burned up the motor in the vacuum. Just saying...so be careful. No need to go overboard. If you plan to build a home or office it's a great idea to spread it throughout the new construction. Sprinkle it in between floor joyces and walls as they are constructed and on floors over the padding of carpet, under kitchen cabinets just on top of the floor where you'll never see the floor again unless you rip the old cabinets out again. Place DE in behind outlets for existing walls. A cheap hand held duster works great for this. Also can be used as a metal cleaner and on driveways, as a stain remover in carpets, and odor eliminator in refrigerators and garbage cans. The possibilities are endless wherever there may be bugs and odor. 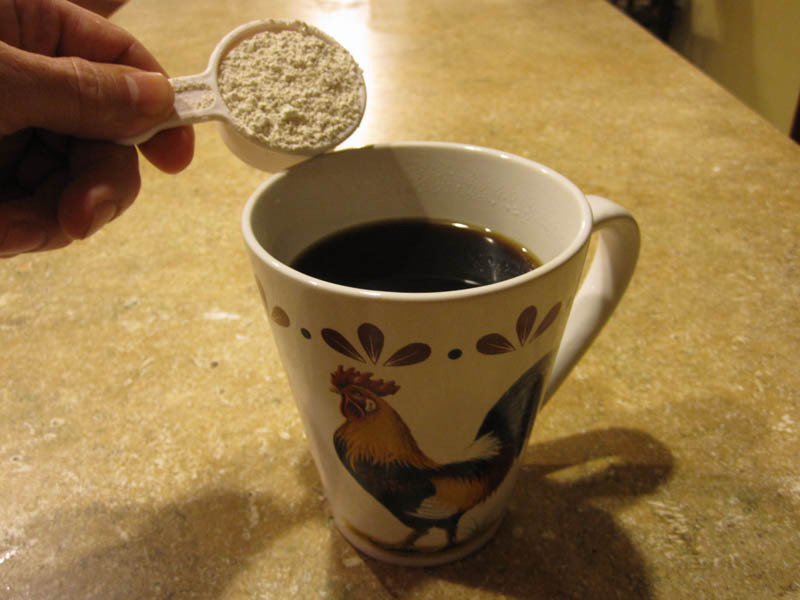 More and more people are coming to realize that Diatomaceous Earth Food Grade (and I stress Food Grade) plays an important role in our daily lives. It's not so much the DE as it is the mineral "silica". Nobel Prize Doctor Butenant proved that "life can not exist without Silica". Water & Salt, a book by Dr. Barbara Hendel in 2003, stated that "Silica is the most important trace element in human health". Silica plays a crucial role in the body's ability to absorb minerals. Blood Pressure, Cholesterol, Osteoporosis, Weight Loss, Cosmetics, Hair, Nails, Teeth & Gums, Energy, Bacteria, Mucus, Anti-Aging, Urinary Infections, Headache. DE is odor free, tasteless, and has an indefinite shelf life. 20-30 mg of silica is the average daily need of an individual, but 1 heaping tablespoon twice daily with your favorite beverage should do you quite well. Some use it in their shake to keep it suspended. You can also sprinkle it in your food. DE has its roots in over 1,500 aspects of life throughout the world, but let me be clear in pointing out that I hold no degrees in the biologies of pets, livestock, horticulture, agriculture, entomology, geology, and homo sapiens (humans). The information that you read on these pages are from my own personal experiences and findings through extensive research and studies. I, in no way, consider my self an expert on the relations between Diatomaceous Earth and the groups listed above and their outcomes. You are responsible for your own conclusions and usages of DE products or information you read here on this page or any other pages within this site. Content on this site is not intended to be a substitute for advice given by a physician, pharmacist, or other licensed healthcare professional. Any Diatomaceous Earth food grade uses other than those approved by the EPA, FDA, or USDA are strictly reports of what other users as well as, I myself, have experienced with Diatomaceous Earth. Hi, We need some advise in order to know if we can use the DE we use on animals (food suplement) in humans or is there any difference?